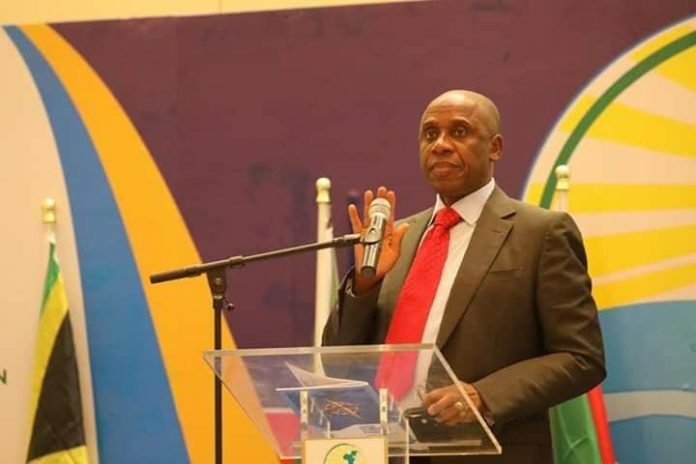 Former Governor Of Rivers State and Current Nigeria’s Minister for Transportation RT Hon Chibuike Amaechi on Monday Escaped Death when an Arik Air he boarded from Portharcourt To Lagos lost Control in mid Air . PUO METRO gathered the Minister and His Aides Spent 3 Hours in the Air for A Flight of 45 Minutes from Portharcourt To Lagos were he was attended the 2nd Continental Conference /Annual General Meeting of the African Woman in Maritime 2018 held at Eko Hotel, Lagos State. It was further learnt that the plane went off the radar trice causing the Pilot to lose control of the plane for Several Hours before normalcy was Restored.